There are a lot of strategies that are being applied by different companies and brands in order to boost their sales. Using online polls and doing surveys is one of the best ways to boost the sales. Don’t know how? No worries, just scroll down and check out the below given 6 ways. 1. Before creating deals or offers, a business can ask customers about their interest easily through online poll and according to the data gathered from those polls, they can offer deals and can increase their sales easily. 2. With the help of polls, you can easily measure the consumer insights. You can get suggestions or inputs related to your current product or administration and can also know the impact of your new items on your customers. You can do all this by using online questionnaire which in turn, will help multiplying all your business sales. 3. A polling should be carried out once or twice each month by a business in order to maintain a strong interaction with their customers as this can help a lot in increasing sales. In case a business is interacting well with their customers with the help of online surveys, then this can end up in maintaining a great business reputation and will also increase the sales. 4. As a perfect business, you need to ask about the product that your customers liked the most. You can take help from www.polldeep.com in collecting the information through online questionnaires and can provide discounts on your most demanded items. This will surely result in amazingly boosted business sales. 5. A business should routinely post on their social networking sites such as Twitter or Facebook Page especially when the business is small and have limited sales. A short survey or paid polling can turn out to be a quick and simple online content to keep your customers engaged and can result in increased sales also. 6. An excellent business is the one that fulfils all the basic needs of their customers. With the help of online polls, any business can look for different suggestions from their customers with by simple creating a completely free survey. This is an easy way to know what your customer think. At the end, working on the client’s suggestions can result in increased sales. Whether it is the paid polling or even the free online surveys, with the help of these polling ways a business can always boost their sales rapidly. 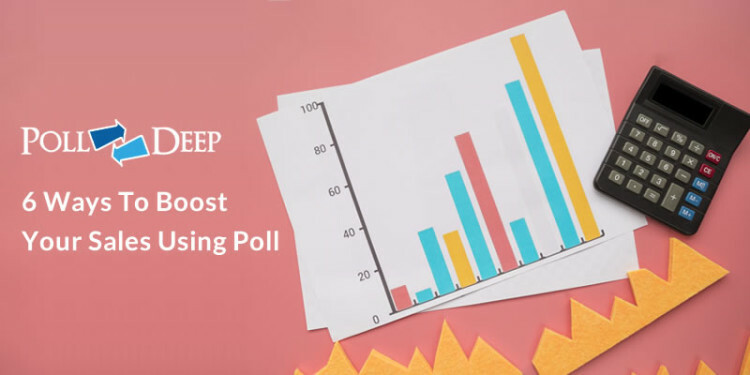 The free online polling tools such as www.polldeep.com is one of the most loved polling tools that can help in increasing the sales of both small and large businesses.